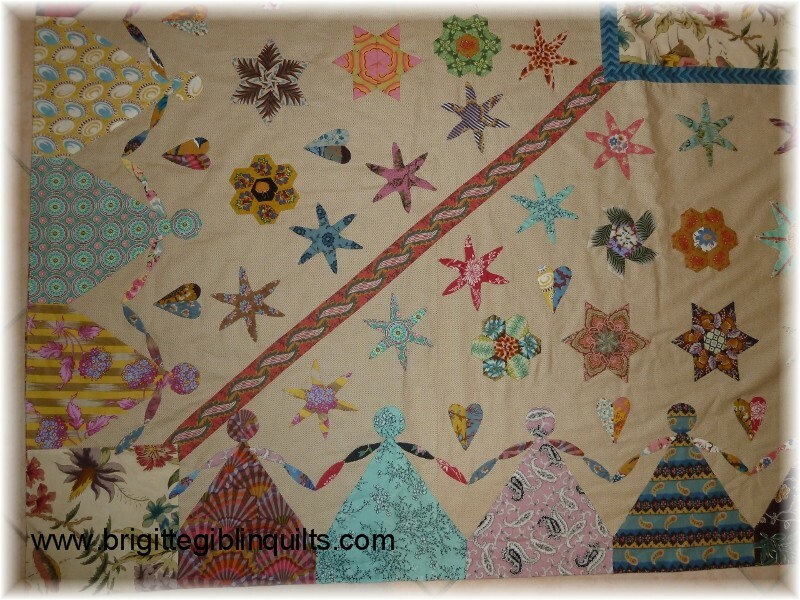 Hexagon flowers, stars and jewel shapes are paper pieced, and then appliqued to the background fabric. The dollies' dresses are sewn together first, and then appliqued to the background. Note: the head fabric matches the dress fabric, and the arms are arranged in colour pairs - i.e. two matching upper arms and two matching lower arms.